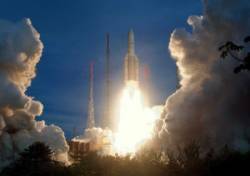 The Indian Space Research Organization (ISRO) has announced plans to launch the final satellite for the Indian Regional Navigation Satellite System (IRNSS) on April 28. 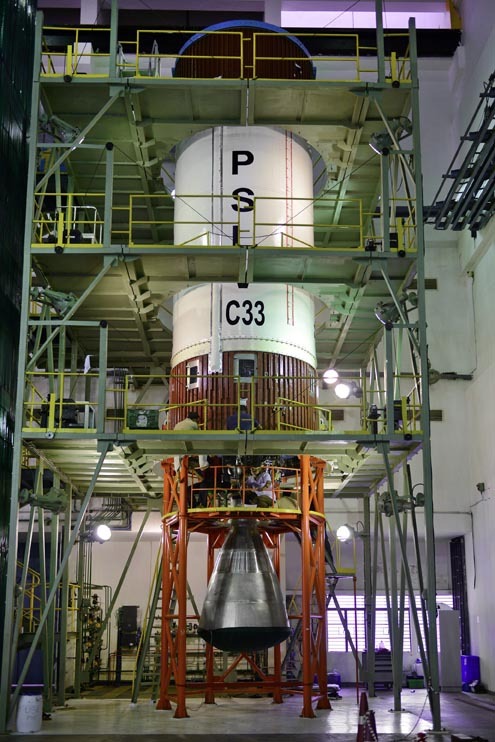 The IRNSS-1G launch is scheduled for 12:50 p.m. local time from Satish Dhawan Space Center, in Sriharikota, Andhra Pradesh, India, with the navigation payload being carried into space on India’s Polar Satellite Launch Vehicle (PSLV-C33). Seven satellites comprise the IRNSS constellation. 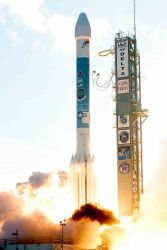 Three satellites are located in geostationary orbits (GEOs), including IRNSS-1G, at 32.5° East, 83° East, and 131.5° East longitude, and the remainder located in geosynchronous orbits (GSOs) with the required inclination and equatorial crossings of two GSOs each at 55° East and two at 111.75° East.